Discounts are available for Virginia educators and out-of-state graduate students. Welcome to the Division of Special Education & disAbility Research! To be successful in your program, it is important to remember that each student is responsible for knowing Mason’s rules, regulations, requirements, administrative policies and academic policies. Every student must meet with his advisor upon admission to the program to create a program of study. Even if students know which program/s they will pursue and their sequence of coursework, it is beneficial to discuss plans for internships, testing requirements, transfer options if applicable, etc. It is highly recommended that you meet with your advisor at least once per semester to review degree progress and plan for future semesters. The University Catalog, your program advisors, and the staff in the Student and Academic Affairs Office are key resources to assist you as you work toward completion of your degree requirements. M, T, F 8:30 a.m. - 5:00 p.m.
W 8:30 a.m. - 7:00 p.m.
R 8:30 a.m. - 3:00 p.m.
M, T 8:30 a.m. - 7:00 p.m.
W, F 8:30 a.m. - 5:00 p.m.
Students may schedule or cancel appointments no less than 24 hours in advance. Advisor calendars are open two weeks in advance. If no appointments show as available with your assigned advisor, please check back in a day or two to see if new times have opened up. You can also e-mail general questions to your advisor. Phone and face-to-face meeting options are available. 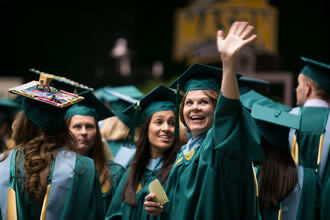 Click the image below or go to https://gmu.campus.eab.com/ to access GMU SSC Campus..
Click the GMU SSC Campus button. You will be redirected to a page where you will enter your NetID and password, the username and password you use for Patriotweb. Click “Schedule your advising appointment” on the top right. Click on “Schedule an Advising or Registrar Appointment,” select “College of Education and Human Development as your college and choose “Special Education Advising” as your service. Select a location: Special Education-Fairfax campus or Special Education-Loudoun site. Select your advisor: Jancy Templeton or Kelly Severo. Choose the date and time of your appointment. Appointments can be made up to 2 weeks in advance and no less than 24 hours prior to the appointment time. Add comments and your cell number for a text reminder (optional). Click Confirm Appointment. You will receive confirmation and a reminder email. Contact speced@gmu.edu if you have any questions or sschelp@gmu.edu if you have any issues with the scheduling system. Spring 2019 walk-in days are scheduled on December 12, December 19, January 9, January 16, and January 23. Prior to the start of each semester, Wednesdays will be set aside for last minute advising questions to be answered by phone or in person. No advising appointments can be scheduled during these days, but all students are welcome to take advantage of the walk-in or call-in option. Advisors will be available for meetings on a first-come, first-served basis in Finley 102 from 9:00 a.m. - 6:30 p.m. to provide last minute assistance.